What do HOA management companies do? The answer is rather complex because these companies can offer a wide range of services customized to fit the property’s specific needs. Consequently in nearly every situation, HOA management companies enable properties to thrive. HOA management companies ensure all rules and policies are within the letter of the law, protecting your company. These companies ensure all rules are fully understood, clearly explained, and completely defined to ensure there is no confusion. A management company can handle all legal and non-legal actions necessary. HOA management companies handle complaints and concerns that arise, such as resident disagreements or violations. These management companies minimize the risks associated with common concerns like favoritism claims, unfair treatment, or lack of communication. You establish the laws. They help enforce them. Hence, this level of consistency is what defines successful HOAs. Also, it differentiates them from the organizations that struggle. Property maintenance is one of the most important services that HOA management companies can offer. The maintenance of all structures and landscapes really helps to define the value of the community. People don’t want to live in an area that’s run down. But they would rather live in a property of which they can be proud—one that is properly maintained. What’s more, they can help to improve your facilities and buildings. For example, they can conduct audits and inspections to find potential areas of improvement. This could lead to energy consumption reduction and lower energy costs. 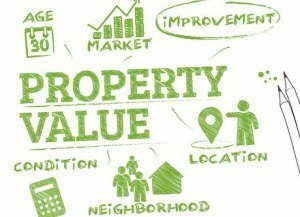 When you choose a professional organization to maintain your property, it helps to keep the value high and the budget in line. Of course, there are many ways an organization can lose money. This can occur through mistakes in spending, losses related to poor maintenance and upkeep, and poor management of resident fees and funds. The right HOA management company is able to protect an organization financially. And, in many ways, using this service ends up paying for itself many times over. From elections and governance support to managing board and member meetings, HOA management companies offer a wide range of services to meet each organization’s unique needs. What’s more, you can customize these services to match the level of support you need. Therefore, each organization must find the right balance in services and costs to make their HOA a success. So, when you talk to Ardent Residential and ask what duties HOA management companies perform, you’ll get a long list of services and benefits. Let our team show you the customized solutions we can provide for your property business. Contact us today for a consultation and learn more about what you can expect from the best HOA management company in the Atlanta area.